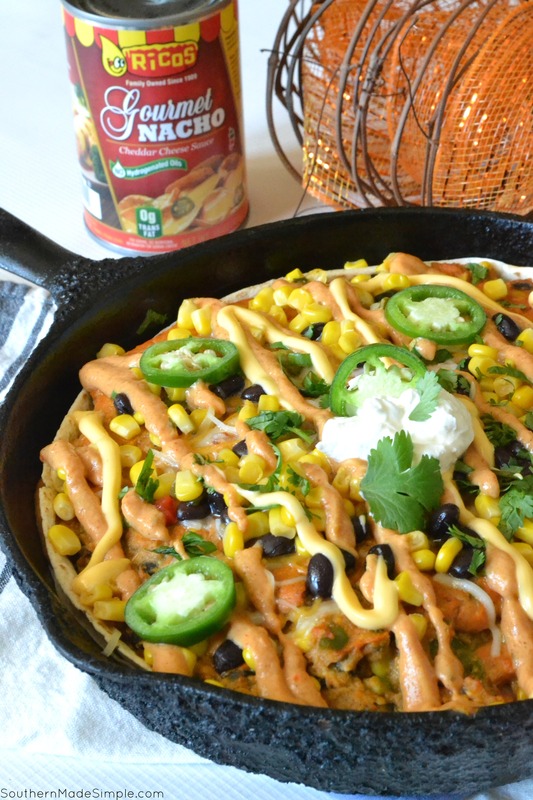 This recipe for Cheesy Pumpkin & Chicken Taco Bake is sponsored by Rico’s. All thoughts and opinions expressed are completely my own. Earlier last week, I had an overwhelming desire to break out the Christmas decorations, blast my favorite holiday station on the radio and trim up the tree with all the bells and whistles. This was quite unusual for me, because I’ve always been one to stick to my guns about not decorating for Christmas before Thanksgiving is over. No shame at all if that’s your thing! I just really love Fall decor and all things pumpkin-y, so I savor it for as long as I possibly can! Now that summer is in full swing, my daughter and I have been a pair of busy bees attending all of the fun children’s events that have been taking place in the area. Just the other day I had to grab my calendar and schedule all of the activities taking place because it had gotten to where I couldn’t keep track of it anymore! On top of all of our weekly outings, I decided to enroll her in a baby gymnastics class that meets once a week. I feel so lucky to live in an area that has put such a big focus on children’s learning and physical activity. Living in a very rural part of the state, all of these free public events are a rare treat that are really making our summer extra special! Well, here I am once again trying my hardest to find new and creative ways to use up some of this beautiful squash that’s taking over. I feel like the past few summers the only things I could think to use it for was in fritters, casseroles, and just cooked plain with a little EVOO and salt. 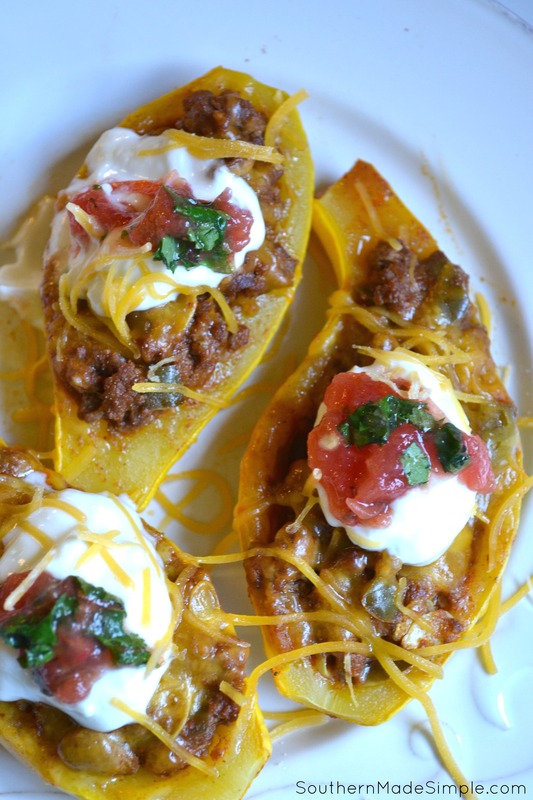 I mean, those are all super yummy ways to eat yellow squash, but this summer I’m just feeling like I want something a little extra. Know what I mean? So when I went out to the garden this afternoon to pick all of the squash that was ready, I had a brilliant idea hit me! Why not try my hand at stuffing the squash? After all, I make stuffed peppers ALL the time! Well, upon further inspection of the size of my squash, I decided that cutting them in half and hollowing them out would probably work a little better than truly stuffing them, but it’s all the same really! 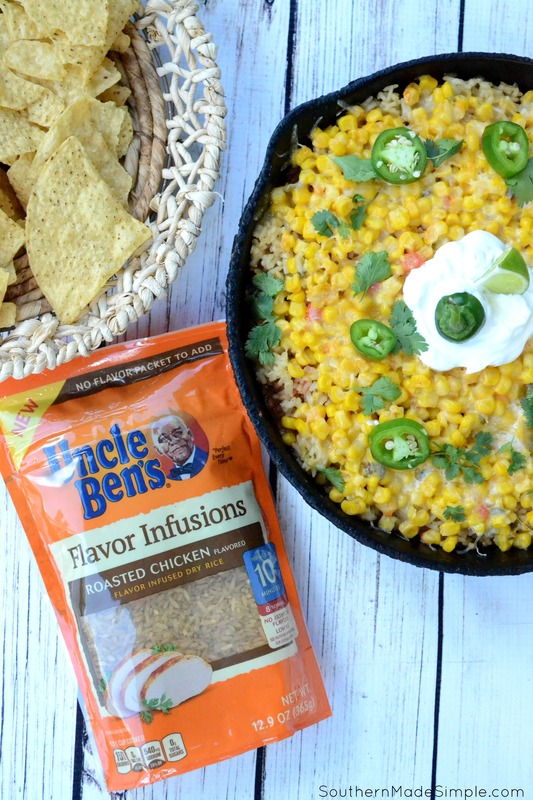 Spice Up Family Dinner Night with this 7 Layer Mexican Fiesta Dip! Let’s taco ’bout Mexican food for just a minute here, y’all. My husband and I can seriously throw down when it comes to Mexican. Enchiladas, quesadillas, chalupas, #4 chicken taco supreme combo with a large coke, etc. It makes no difference to us. You name it, we love it! 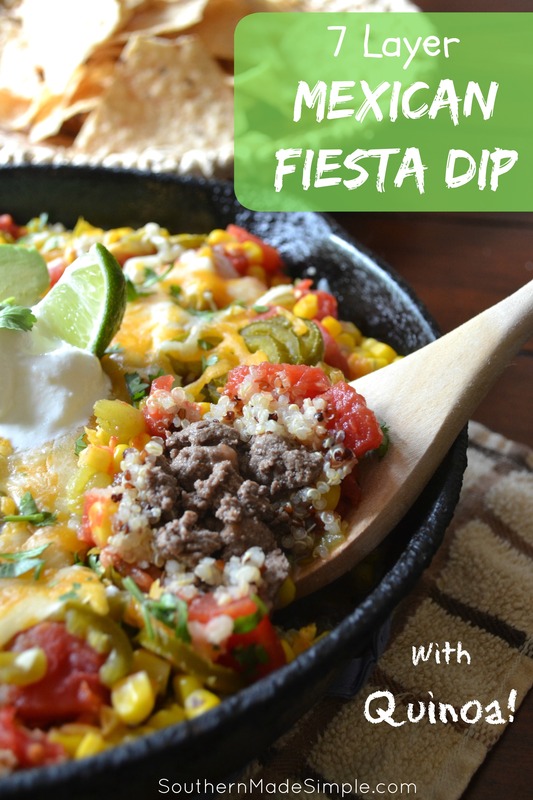 And if you throw some queso and jalapenos into the mix? Have mercy! And because we love it so much, we try to make it a point to prepare these types of meals at home on a regular basis. I’m telling you, as soon as my daughter is old enough to start eating the food that I prepare (she’s only 11 months), I’m establishing non-negotiable Taco Tuesdays in this house. It’s definitely happening. I absolutely love to cook, and if you’ve been following my posts you know that I love to share recipes that tend to be Southern inspired. This post is no different, other than the fact that this one is really, really Southern. Like, South-of-the-border southern. Oh yeah mis amigos, it’s gonna be good!